I was recently given a very old, dead laptop. I soon took it apart to see what parts I could salvage, what parts I could reuse in my projects. Among the numerous parts there was one that I was interested the most: the mouse pad or touchpad. 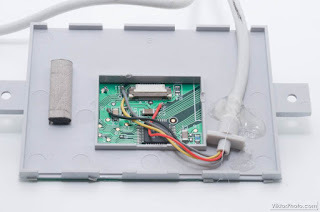 I was wondering how it is interfaced with the motherboard and if there is a way to use it on its own, like an ordinary PS/2 mouse. This is the salvaged touchpad, back side. The other side is the actual pad that one touches. After opening the laptop I found that the touchpad was not directly connected to the motherboard but through another flexible board that handled some of the buttons around the touchpad, i.e. left, and right click and some other, custom buttons. I got rid of all the extra buttons and the flexible PCB since I wanted to focus on the touchpad only. Here I still have the flexible PCB for the buttons - not interesting, just for show. On the back of the mouse pad I found a small circuit that was built around a Synaptics T1004 0406 chip. For days I was researching this controller, but found very little information on it. The only place where there was a good bit of info on touchpads is http://sparktronics.blogspot.com/2008/05/synaptics-t1004-based-touchpad-to-ps2.html. This page doesn’t have information for my particular controller or touchpad, but it had enough information that got me started. Using the information on this page I started to poke around the PCB with a multimeter and an oscilloscope. I salvaged a mouse cable from a dead mouse and soldered the four wires to the test points previously identified. All four cables soldered in place. some hot glue was used to keep the assebly in place. The experiment was a success: when I plugged the PS/2 connector into a PC I was able to use the touchpad as expected. The touchpad is ready to start a new life embedded in some custom project! I will not see comments left on other sites that might feature this article, so if you want me to read and reply to your comments, please leave them here. I love receiving comments on my projects and I always answer them. 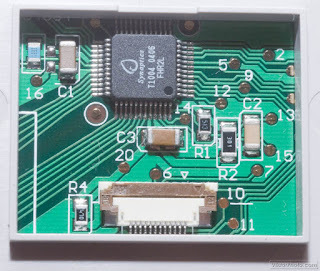 I've been using one of these hooked up to a PS/2 port for a year or two now - if you leave the button ribbon cable connected, they should work just fine - the Synaptics chip just interprets the presses and sends them over PS/2. I found with mine, that if I connected it directly to a real PS/2 port, then I could use multitouch capability (two finger scroll, three finger right click), but if I went through a USB converter I couldn't. I assume that the multi-touch signals were unknown to the USB converter, and so it just ignored them. Thanks for the input on the USB part - I haven't tried it yet. As for the buttons, I found this out too and included in the little table of test points/functions in the article. Hi, i got here through hack-a-day. From the link you provided, it seems you just need to tie down (to ground) pin 6 or 7 to get the desired mouse left/right click. Try connecting the pad to the ps2 port and then grounding pin 6 and 7 and see what happens. Yes, that's correct, I knew that, maybe I didn't describe it in the article as the buttons were not my primary concern. You can find it in the little table of test points/functions in the article. Thank you for sharing - this is super valuable to all who want to repurpose such a module! If you use the gesture drivers on Support site you will not have the Control Panel features added. I am running windows 7 and found the following driver works flawlessly. This allowed me to go into the Mouse CP and setup the scrolling only portion of the touch pad. Thanks Kevin for sharing! I'll try it soon. Hey mate, thanks alot, this is the BEST source i've seen so far, and i've been searching for a few days, around 3 hrs a day so far... thannnks oncee again. i have a synaptics t1004 0414. my test points, when traced back are on same ic pins as ur , so should i use your information? bye, and thanks!! p.s. please explain to me in detail about how to setup scroll and left/right click. Yes, you can use the info here. The mouse buttons (test points #6 and #7) just need to be connected to ground (test point #15) to simulate a click. For scrolling you don't need to do anything special - it just works (if your module had scrolling ability in the first place). Hi, so would i just wire a momentary button and wire it to GND and the points? So 1 button for Right click, and 1 for left? Thanks! Also, i'm going to wire it to a USB, how exactly would i use the scroll feature? My touchpad is a TM41PUC2311-2 and it has a chip called T1004 0414. THANKS!! If you want to use it with USB you need a USB-PS2 adaptor. If scrolling will work after that is uncertain. YOu'll try it and see. For some it works for some it doesn't (on USB). I know I'm commenting on this a bit late but I thought I'd share my experience in this regard. I have a newer model Synaptics Touchpad from a dead HP laptop (circa 2005). The newer chip on this one is a T1006 0504. I couldn't find any information on this chip for the pinouts so I did it the hard way. Using a pdf from Syaptics on interfacing with an older model pad, a picture of the pinout for a T1006 0544, and a bit of my own deducing I got a PS2 cable wired up to it and it worked the first time. 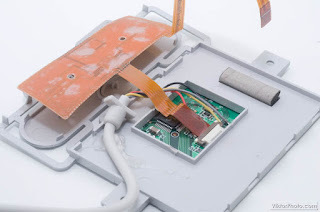 I removed the original connectors to get a better view of where the traces went to and used a multimeter. After Comparing the different notes and stuff I found, I was able to locate the solder pads for the 4 wires needed for the PS2 connection. I left the external buttons off since I got the official universal Windows driver for Synaptics products. This pad now can do left click, right click, vertical and horizontal scrolling, click drag, and so much more with only the tough pad surface. No external buttons. I'm currently using it on this very PC I'm writing from with Windows 7 Ultimate 64 bit. Feel free to email me if you need help with this model of driver chip or another close to it. No, it's never too late - it's useful information, thanks for sharing it! I've done this recently with a Synaptics T1006 and it worked nice, even the Windows 8 Edge features work (with the correct Synaptics driver). However I just found from salvaging a more recent Acer an Alps touchpad with a Cirque 1CA032 chip. I've yet to find anything regarding this chip but was wondering if maybe by chance you ever worked with this chip? Hi just received an official datasheet from Cirque, so I'll check if the contacts are the same. If I find something interesting I'll post it here for others to know. Thank you for this. It's just what I need. I am trying conect two different touchpad to mouse port but i am unable. 2)The other was a laptop :BEEP BEE42376. how can i found the pinout? 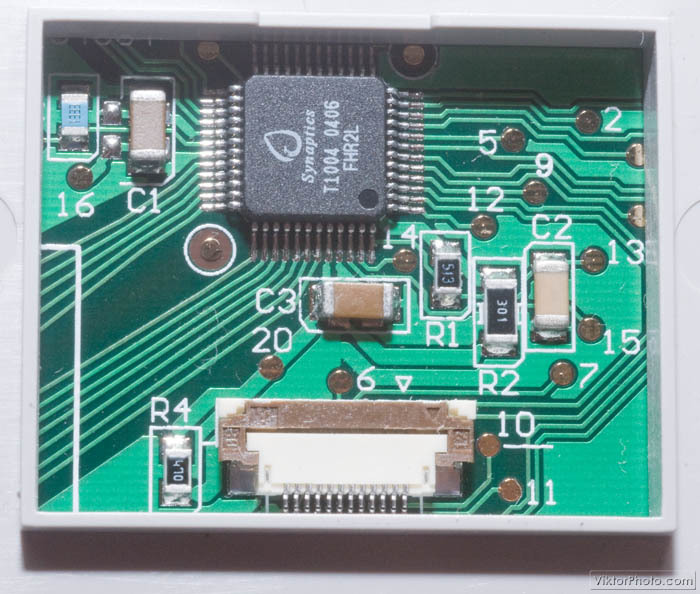 The first one looks the same as mine - it's a T1004 controller chip. You can use a multimeter to find out the test points. My post should help you in that. The second one is something different that I don't know. If a search on the internet doesn't help you can use a logic analyser to find out what the test points do.